After a long battle with MS, it is with great sadness we announce the passing of Ginetta Mastracchio, beloved wife of Ralph Mastrocola. 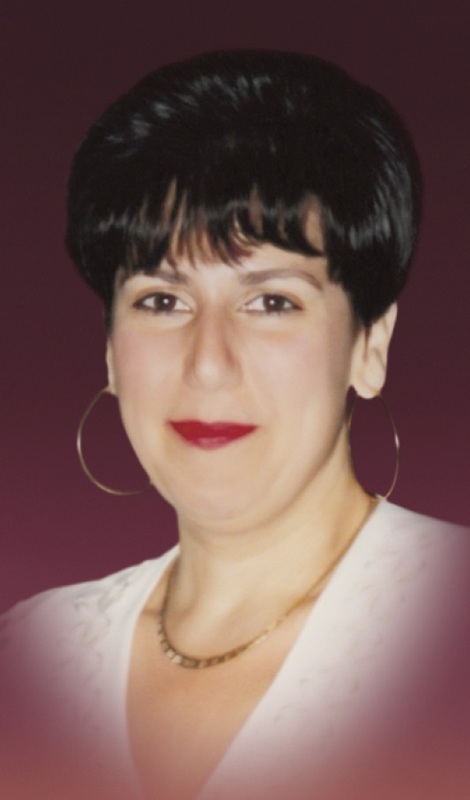 Other than her husband she leaves to mourn her daughter Melissa, her mother Rosina Paulozza, her sisters, Maria and Ida as well as her father-in-law Mario, brother-in-law, Claudio (Anna), and sister-in-law, Marisa (Frank), nieces, nephews, family and friends. My sincerest condolences on your loss. May you find comfort in your fondest of memories. My thoughts are with you all. Our deepest condolences to the entire family. Our thoughts and prayers are with you all. My sincere condolences to you and all your family. She will be missed and will be forever in your hearts. Our deepest sympathies to your family. Our thoughts are with you. Le nostre sentite condoglianze a tutta la famiglia, possa il Signore consolare i vostri cuori per la vostra perdita , Gina era una una donna meravigliosa . Pregheremo per voi . C’est avec mon coeur que je partage ta grande peine. Mes plus sincères condoléances à la famille et aux proches de Ginetta. Je vous souhaite tous la force et le courage nécessaire pour traverser cette dure épreuve. La vie nous est donnée, la vie nous est reprise malgré notre volonté. Ginetta est maintenant un ange qui veillera sur vous. Our deepest condolences to the entire family. Our hearts go out to you all during this very difficult time. They only consolation that you have at this time, is that Gina is free from suffering. Keep her memory alive in your daily lives .